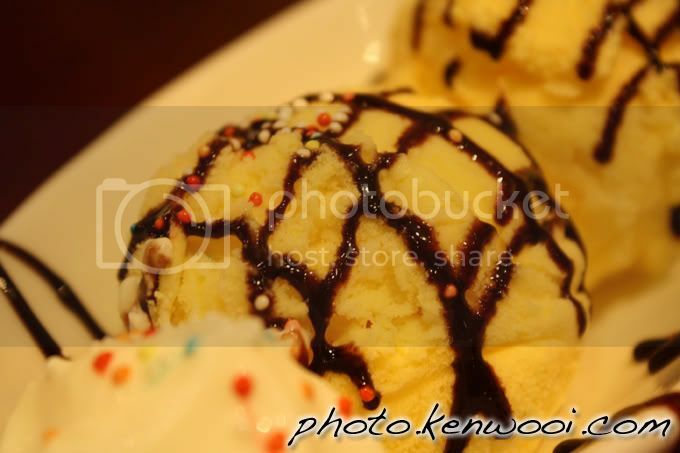 Scoops of vanilla ice-cream with chocolate syrup topping. p/s: nak add link blog photo ni di blog photo saya.. bolehkan?.. thank's.. hehehe..